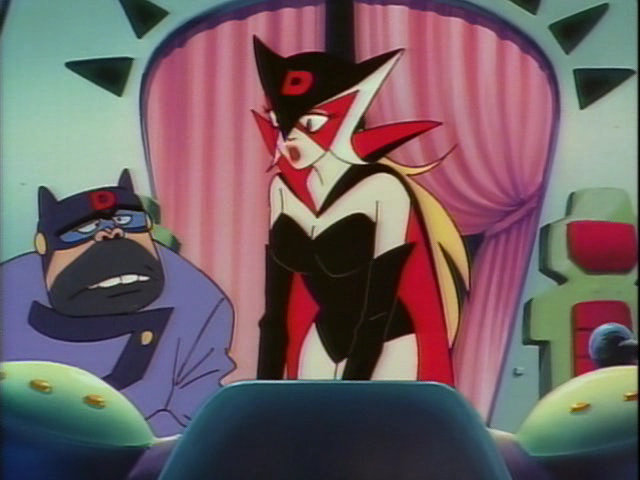 Doronjo is an attractive blonde woman who leads her henchman, Boyacky and Tonzler, in their attempts to locate the Dokuro Stone. 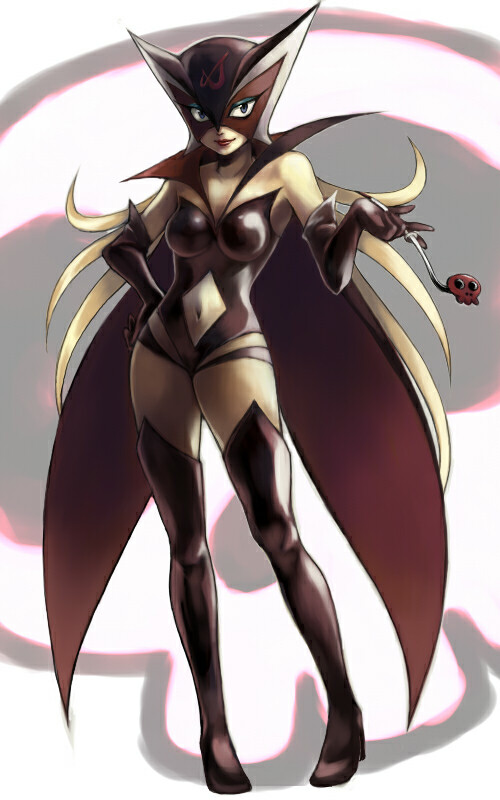 She is known for bossing them around constantly. 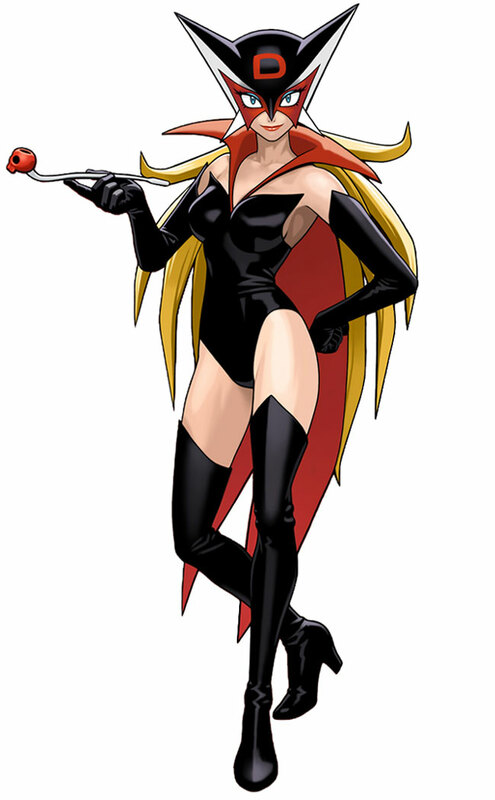 Doronjo is the archnemesis of Yatterman #1 and Yatterman #2, who consistently thwart her schemes. 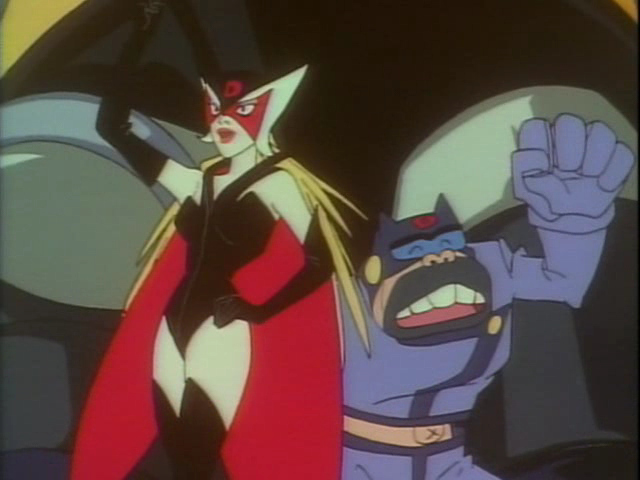 She is known for her vanity, her intelligence and leadership, just like her counterpart, Marjo, from Time Bokan. 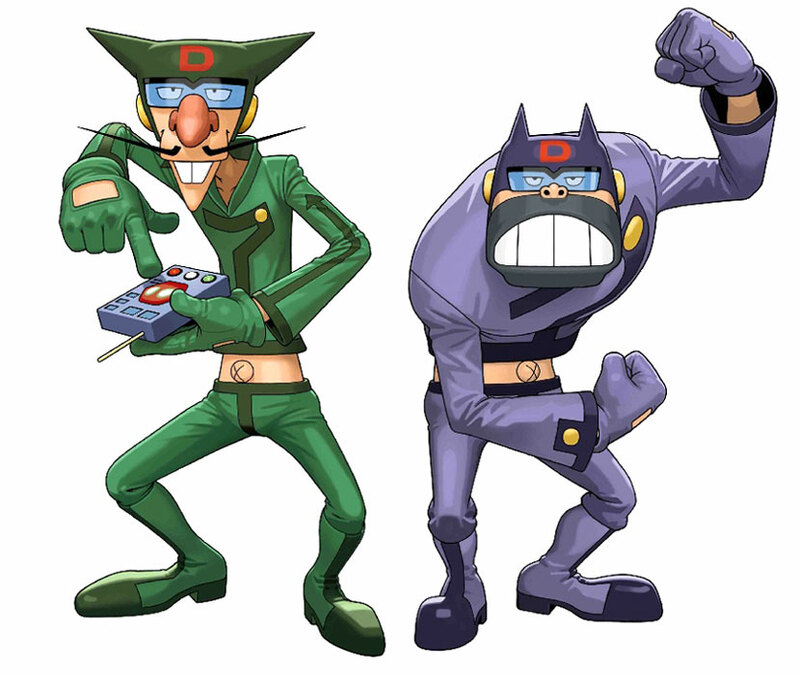 She and her two henchmen are known as the Dorombo Gang and follow the orders of Dokurobei, their ever-mysterious leader. 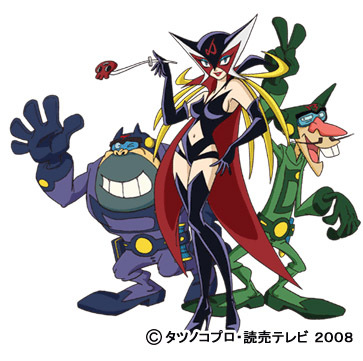 Doronjo originally debuted in the Yatterman anime TV series (1977). 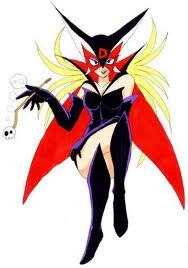 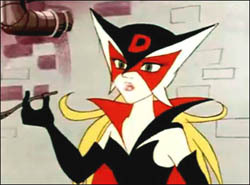 Doronjo is a cool and funny female villain from the Tatsunoko universe. 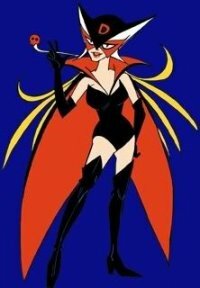 Damn, for an old school villain chick (debuting in 1977), her design stands the test of time. 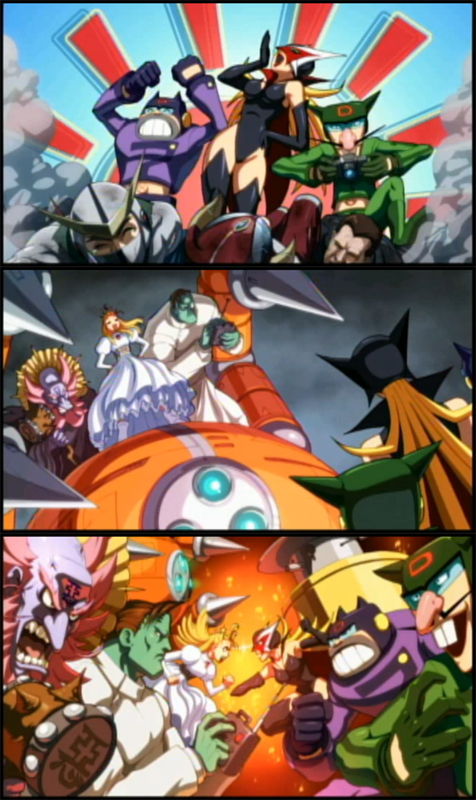 In Tatsunoko VS Capcom, Doronjo offers some nice variety in more ways than one. 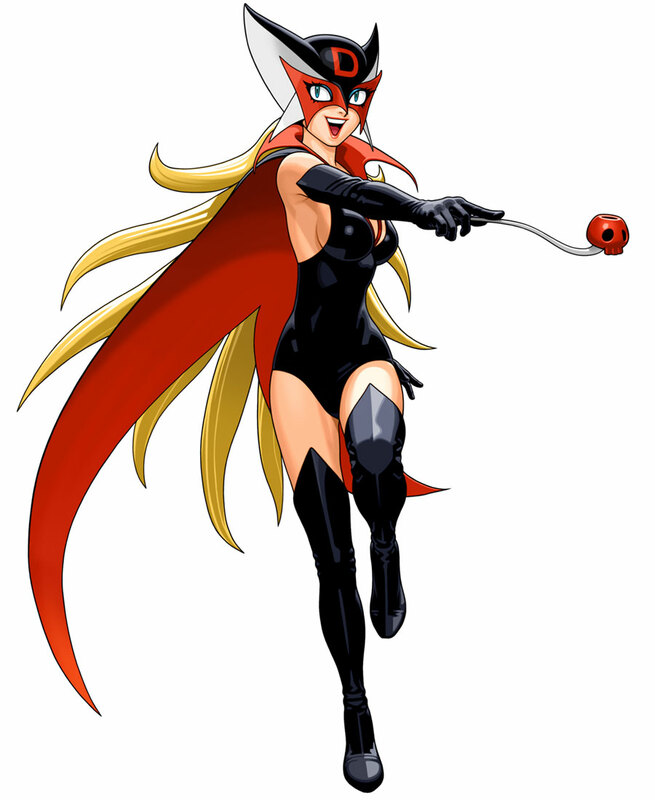 The way she uses her two goons during gameplay is clever... but her overall fighting style could've been a bit better in my opinion. 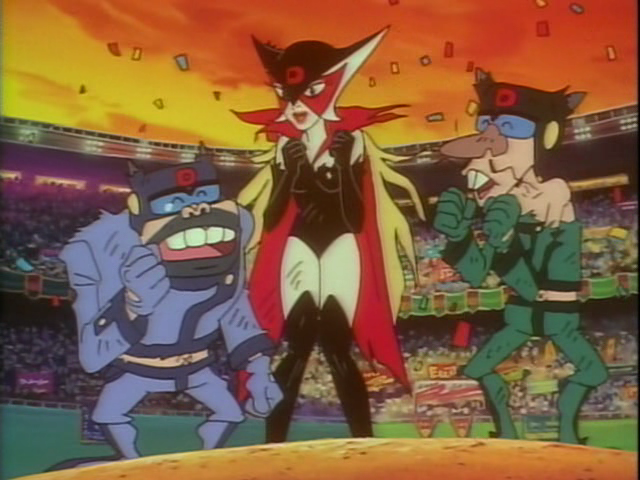 In any case, their silly trio never fails to crack me up. 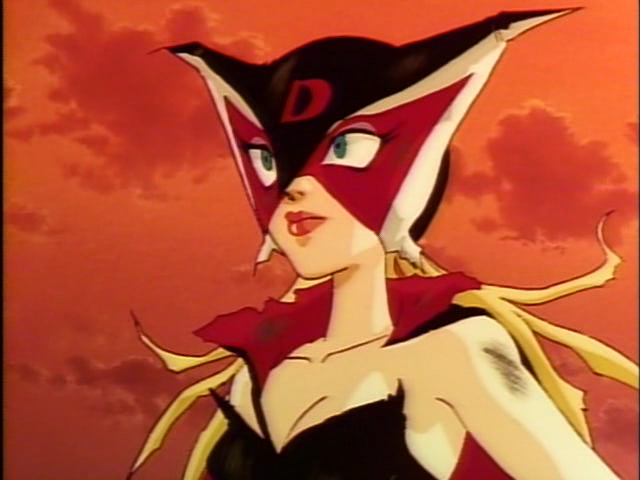 She's also a cool rival to Morrigan, as seen in TVC's intro.